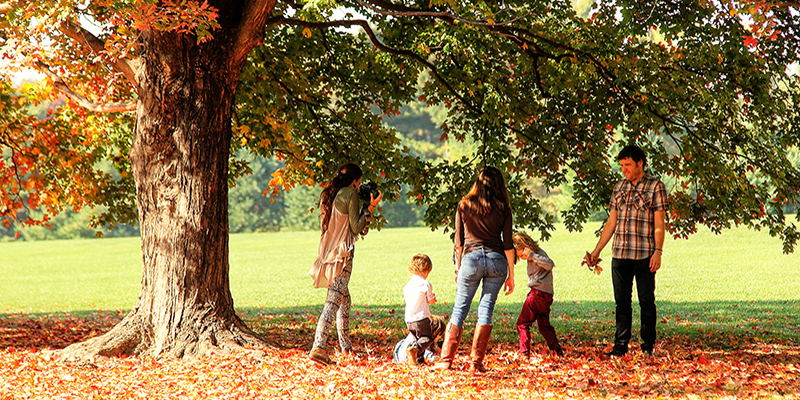 A beautiful, urban park just steps away from the Country Club Plaza, this destination is perfect for picnics, strolls and other outdoor activities. 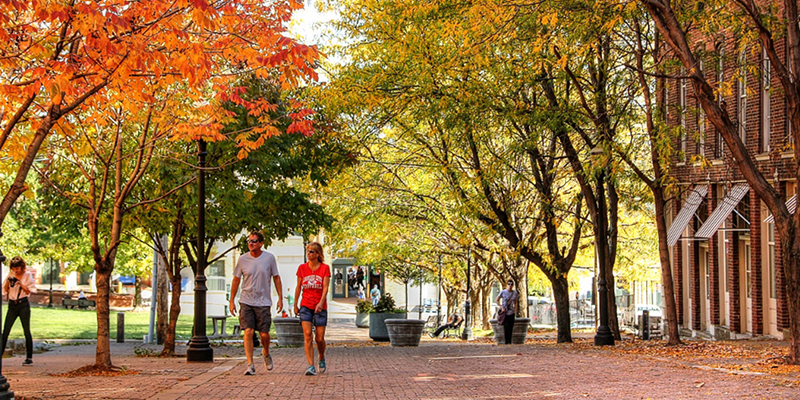 Whether you’re visiting the farmers’ market or sampling international flavors at one of the many restaurants in the area, the foliage at The City Market is sure to wow. 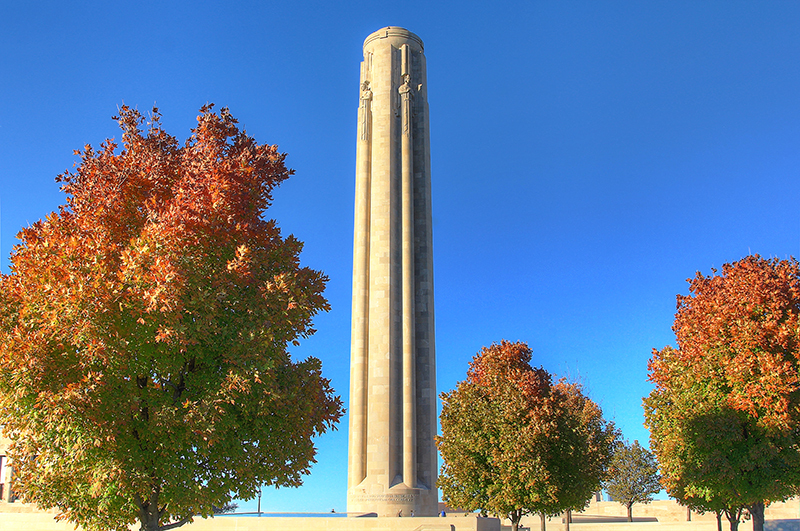 One of the prettiest landscapes in KC deservedly ranks as one of the best spots for colorful leaves, which appear even more striking when contrasted with the stark limestone exterior of Liberty Memorial. 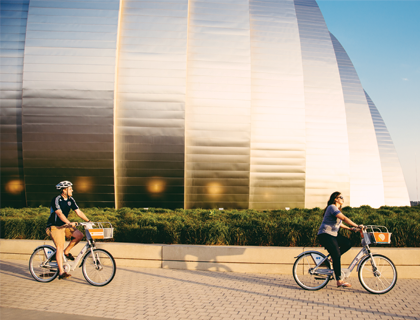 A perennial fall favorite, Weston remains one of the liveliest regional getaways. 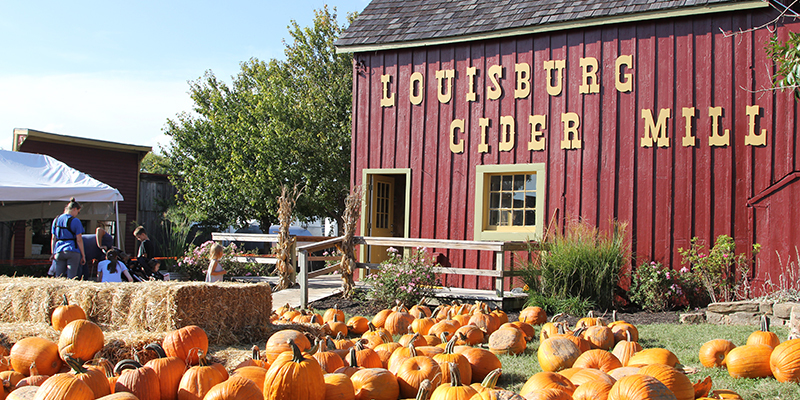 Festival or parade, distillery tour or live show, you’re sure to be swept off your feet by this charming village. 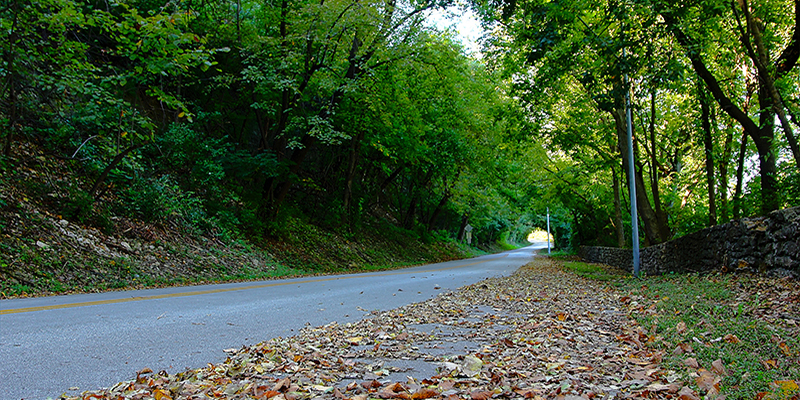 An incredibly scenic road that cuts through northeast Kansas City, Cliff Drive is one of the city’s most treasured (and well-kept) secrets. Plus, it’s closed off every weekend for walkers, bikers and runners to marvel at the natural wonders found along the route. 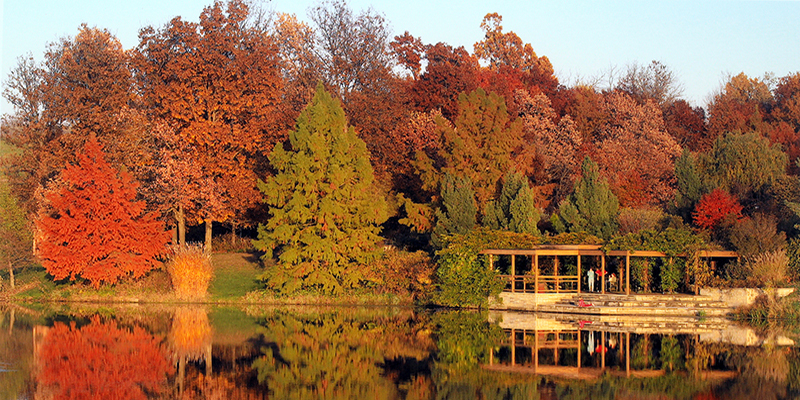 Lush, rolling hills and windswept meadows characterize Powell Gardens, a veritable paradise of wildlife known for its botanical garden, nature trail and surrounding trees swathed in seasonal colors. 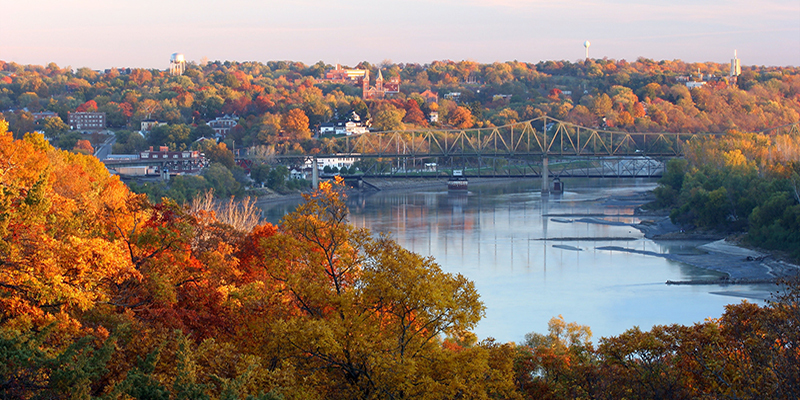 In between haunted houses and Oktoberfest celebrations stands Atchison’s autumnal foliage, an enchanting sight totally unique to any you’ll find in the region. 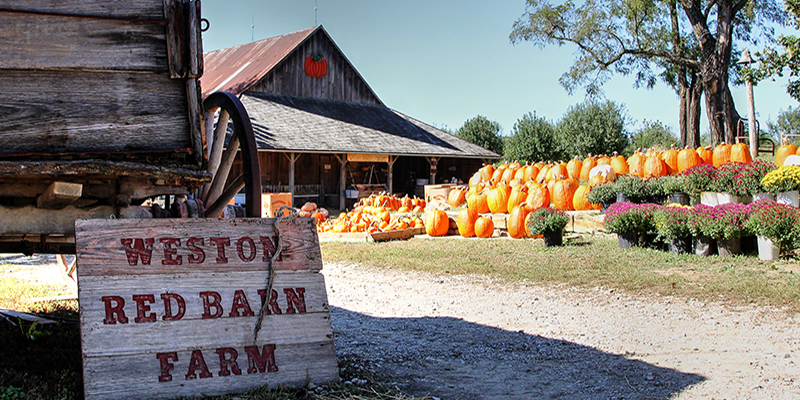 Area pumpkin patches offer plenty of opportunities for families to enjoy the seasonal colors and crisp weather—plus cider donuts and corn mazes, if it suits your taste. 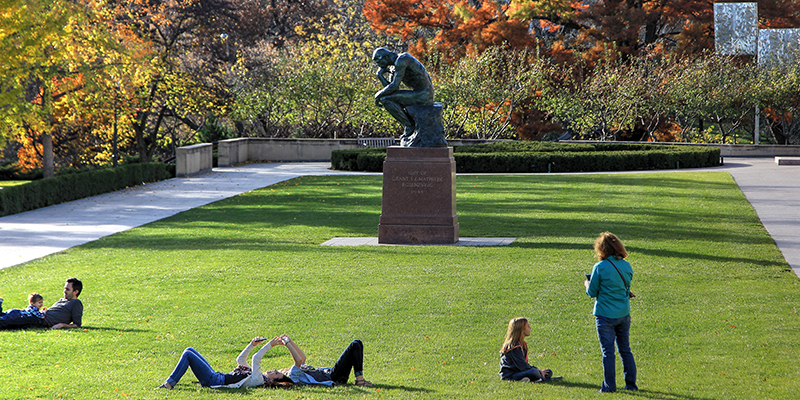 Perfect for picnics on the lawn and days spent exploring countless masterworks inside, The Nelson manages to be even more becoming with fall's arrival. 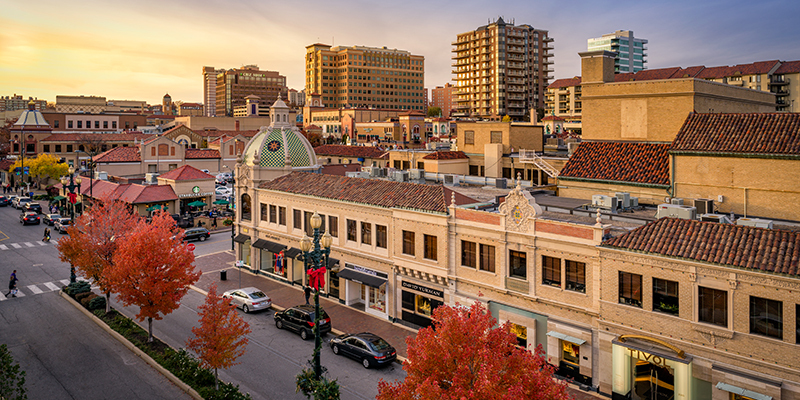 Shopping, dining or simply enjoying the atmosphere, the Country Club Plaza dazzles thanks to the combination of Spanish-inspired architecture and picturesque fall trees.